What does a lipid profile (also called a lipid panel) measure? Having high LDL cholesterol is healthy. The correct answer is false. 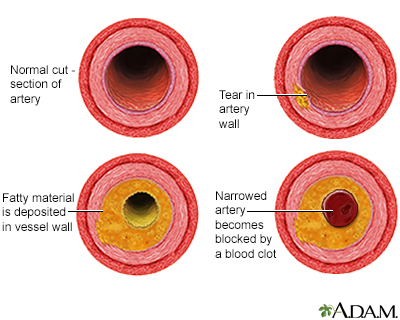 When you have too much LDL, or "bad," cholesterol in your blood, it can build up on artery walls, causing them to become hard and narrow. The lower your LDL, the lower your risk for heart disease. Ask your doctor what your LDL level should be. 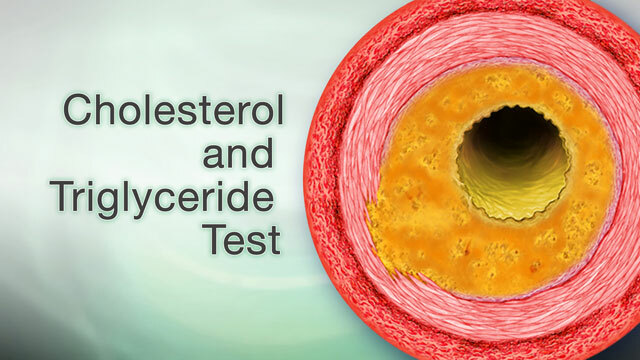 Which type of cholesterol is called "good" cholesterol? The correct answer is HDL. 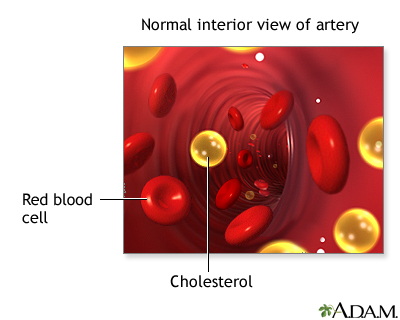 HDL helps remove LDL cholesterol from artery walls. HDL levels of 60 mg/dL or above helps protect you from heart disease. HDL below 40 mg/dL for men and below 50 mg/dL for women can increase your risk for heart disease. The correct answer is all of the above. When plaque builds up on your artery walls, blood clots can form that block blood flow to the heart or brain, causing a heart attack or stroke. Talk with your doctor about how you can lower your risk for heart disease. 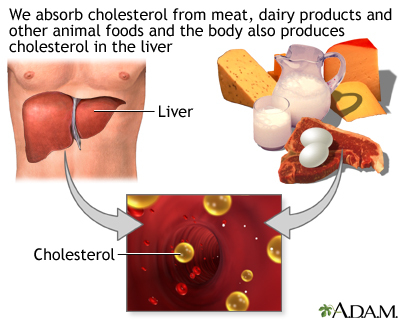 Medicine is the only treatment for high cholesterol and triglycerides. The correct answer is false. Improving your health habits can lower cholesterol and triglyceride levels. Sometimes, lifestyle changes alone aren't enough, so your doctor may prescribe medicine. Which habits can lead to high cholesterol levels? The correct answer is all of the above. Family history, diabetes, and other medical problems also increase your risk. Ask your doctor about healthy changes you can make to help lower high cholesterol. If you are overweight, losing 5 to 10 pounds can help lower cholesterol levels. The correct answer is true. To lose about one pound a week, eat about 500 fewer calories a day. You can lose weight by eating smaller portions. Also replace low-fiber, high-fat foods with lean meats and other proteins, whole grains, low-fat dairy products, and plenty of fruits and vegetables. Getting regular exercise can improve your cholesterol numbers. The correct answer is true. Exercising 30 minutes a day at least 5 days a week can increase HDL levels by about 5 percent. If you haven't been active, check with your doctor before starting to exercise. Start by walking just a few minutes several times a week. Build up to 30 minutes of brisk exercise 5 days a week. The correct answer is monounsaturated and polyunsaturated fats. They are found in fish, nuts, seeds, avocados, and olive, canola, corn, soy, and sunflower oils. Replacing saturated and trans fats with these healthy fats helps lower LDL and increase HDL. Omega-3s from fish help lower high triglycerides. The correct answer is all of the above. Quitting isn't easy, but keep in mind that the more times you attempt to quit, the more likely you are to be successful.